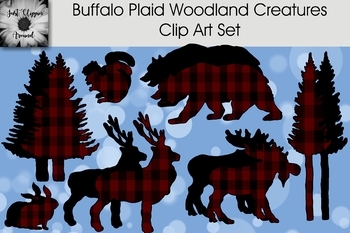 This is a set of 18 hand drawn clip art images, 9 are black silhouette, and the other 9 are Buffalo Plaid. They are created as high-resolution png images at 300 ppi with transparent backgrounds so they can be easily layered into your projects. They can be resized to fit your needs.